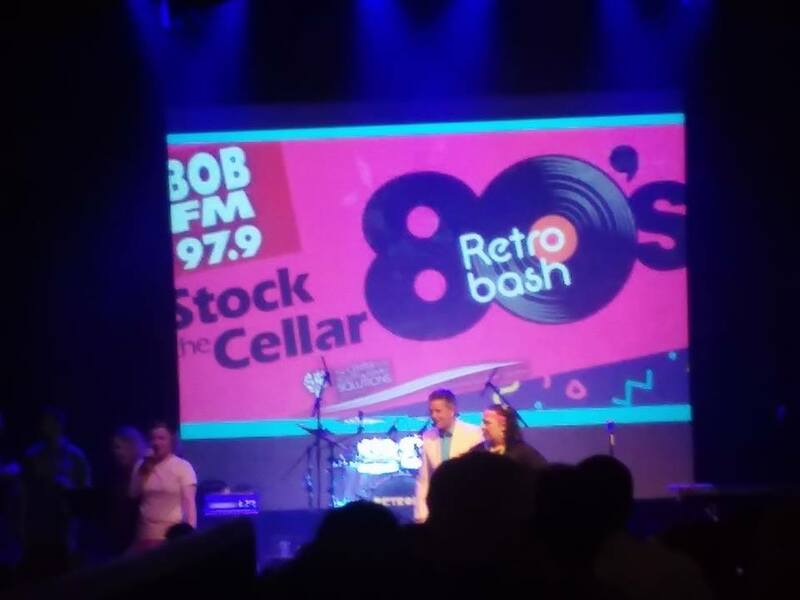 BOB co-sponsored the 2018 Stock The Cellar Retro Bash at the Castle Theater to benefit the Center for Youth and Family Solutions. 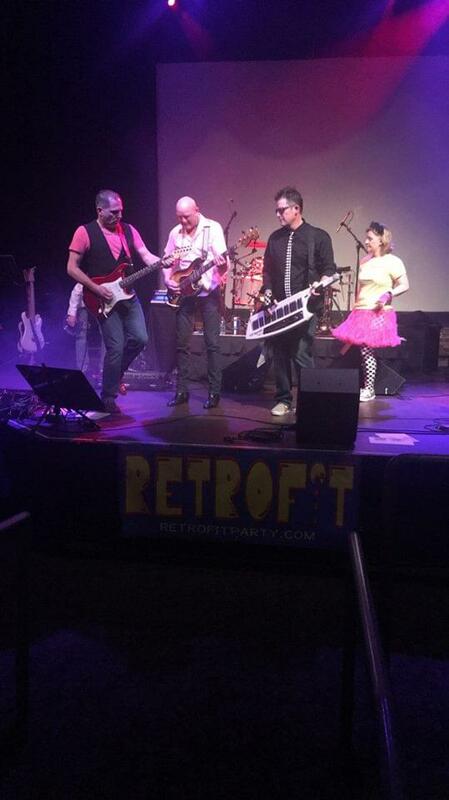 Retrofit rocked the crowd, and BOB has an awesome time. 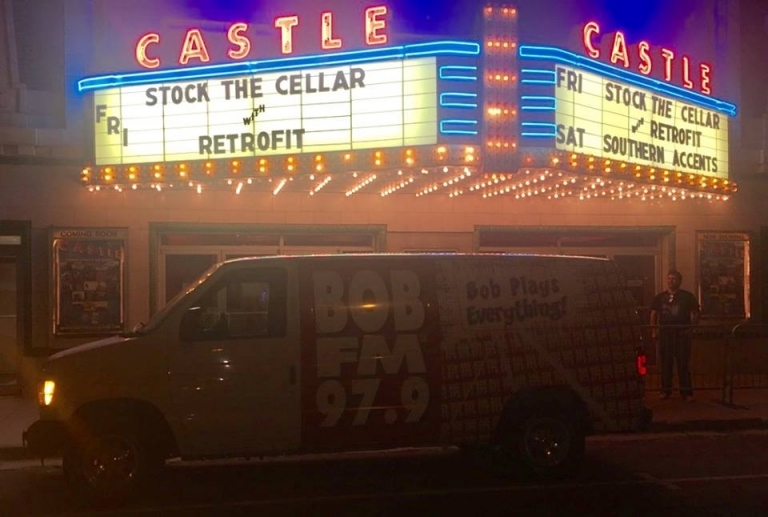 Van and Angie from the BOB Squad. 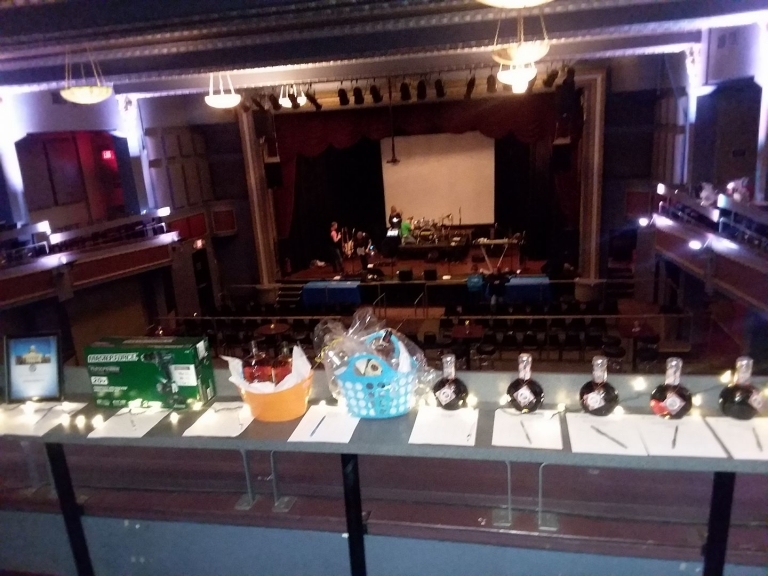 Silent Auction items in the balcony in the foreground, and Retrofit warming up. 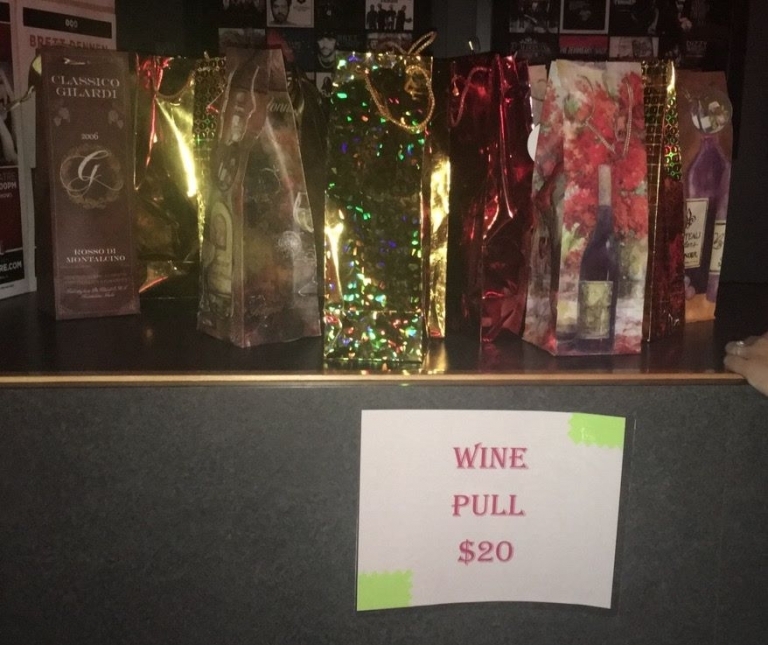 The Wine Pull. Every bottle was purchased with a donation. 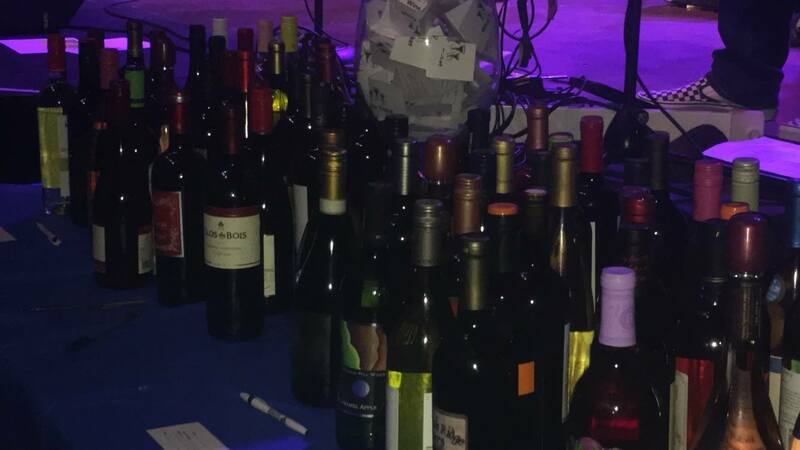 Some of the wine that was won by one lucky person. 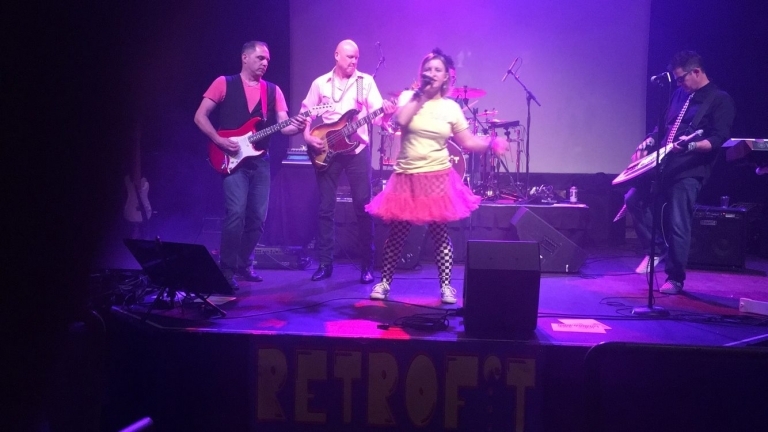 Retrofit with great '80s jams. 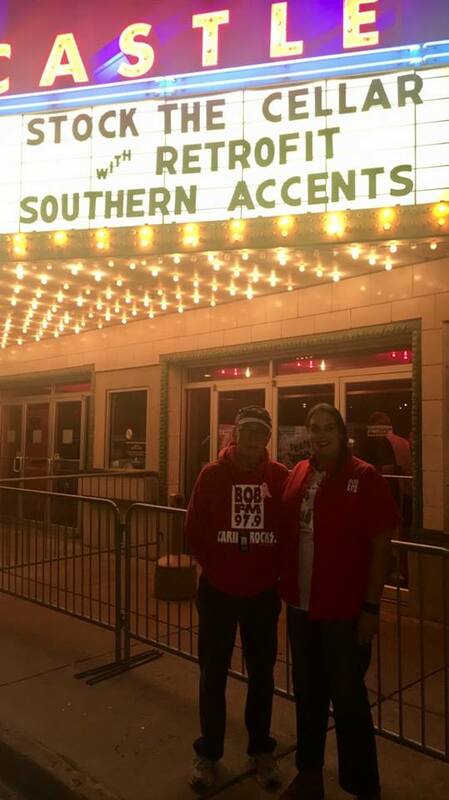 Tim from the Center for Youth and Family Solutions in a rare instance where he was standing still.